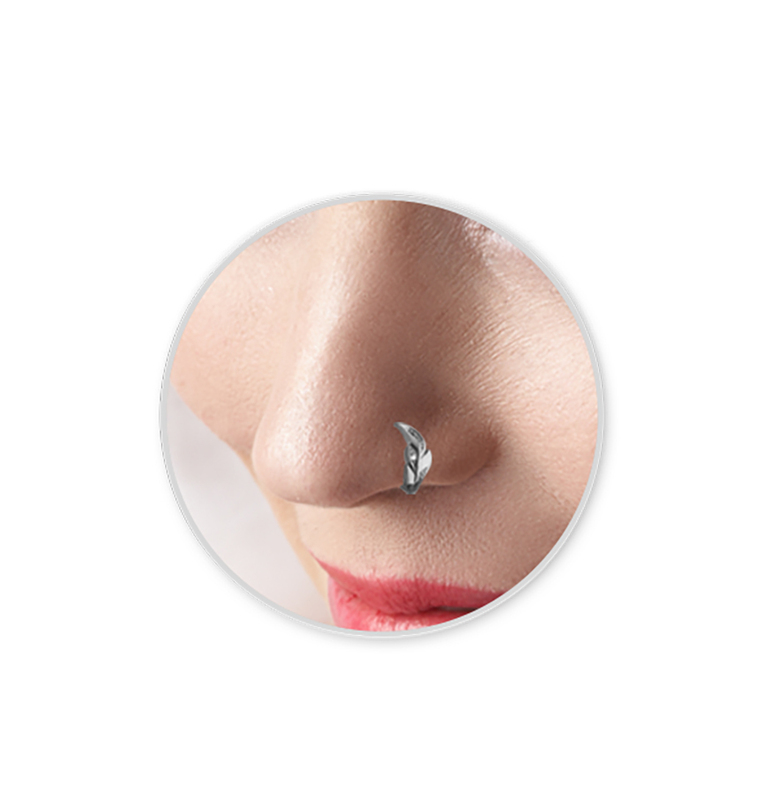 Get the look without the commitment with these faux nose hugger rings. 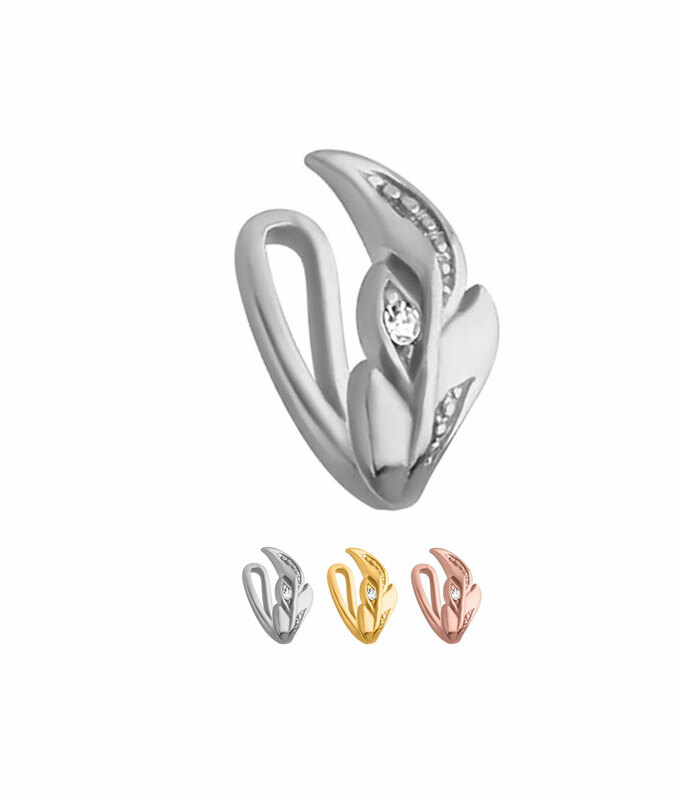 This 925 Sterling Silver faux clip-on nose hugger has a leaf design that measures 5mmX11mm with a 1mm stone. Designed for maximum comfort and ease of wear.